If you get most of your business from referral marketing, do you have a system or a process or a method for making that happen? We've really taken this whole JV thing to an extreme. If all you're doing is turning and burning, trying to make the quick sale, you're probably going to have a lot of trouble. The real value then [for podcasters], if it's not in the listenership then its in the relationships that you can build. But the other thing that's really useful with a podcast is it allows people to get to know you and your brand and your company because they hear your voice and what we've seen is that it is a tremendous conversion tool. One of the secrets we discovered was that if we make that first step of the referral a really easy, no-risk step, it now becomes a benefit for the person who's referring. For some businesses, ads are going to be a great thing. But this can compliment and augment that, but in a lot of businesses, we find that these relationships really drive the bulk of the business and this now gives you a systematic way to go after them. We call it the “virtuous referral cycle” because we'll have an influencer who will share some of our information. So maybe it's a short book that I wrote or sometimes it's as simple as an article that they'll send out to people or maybe it's a webinar. Doug: Well, welcome back to another episode of Real Marketing Real Fast. Let me start by sharing a statistic with you. That 65% of new business is driven by word of mouth advertising. Now, this was an article that was published, I think, in the New York Times, but to give you the numbers, not 65%, even if it's 60% or 64%, obviously that's a large percentage of business. And my guest today is Steve Gordon and Steve's going to talk about building a referral engine. Something that you can set up, create, and that you can continually go back to that will generate ongoing referrals. Doug: Steve's background is he's a best selling author. He's the founder of a company called the Unstoppable CEO. He also has a podcast called the Unstoppable CEO podcast and he's written over 400 articles on marketing for service businesses. So through his firm he helps service business and entrepreneurs to create and leverage marketing systems thus they can spend less time on business development and more time on what matters most. 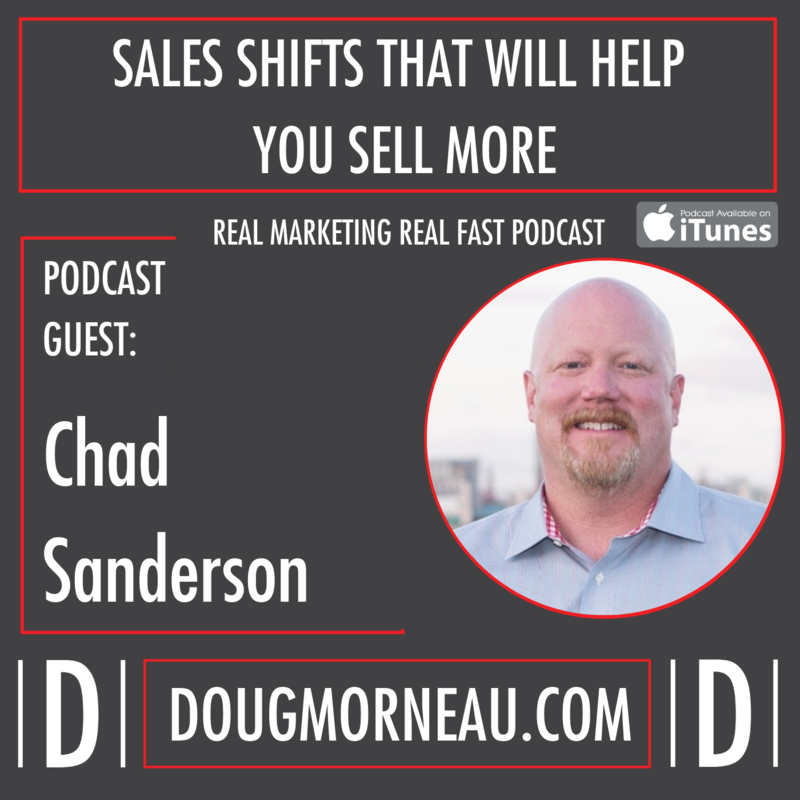 During our conversation, he will also share with you, maybe, an unusual approach to generating referrals and word of mouth and that's using a podcast to land clients and massive referrals. Doug: When Steve was just 28 he became the CEO of an engineering and consulting firm, but he knew nothing about sales and marketing and now 12 years later after growing that firm's revenue by 10 times, Steve started his second business, a consulting business, and works in about 30 industries including manufacturing, professional services, construction, and consulting to design sales, marketing, and referral systems for high tech, high trust products and services. Doug: So today he's here to share what he's learned, take us through the journey that will help you and I attract more ideal clients and do that through referrals. So welcome to the Real Marketing Real Fast podcast today Steve. Doug: Hey, well, good morning Steve and welcome to the Real Marketing Real Fast podcast. Steve Gordon: Thank you, Doug. I'm excited to be here. Doug: I'm super excited to have you. I love talking to other marketing people because they say that iron sharpens iron or sharpens steel. I'm super excited to learn a little bit more about what you do. So I do know in looking at your background and some of the services that you provide your clients that you came into the sales and marketing world from a non-traditional background. Do you wanna just quickly give us a highlight of where you were and how you got to where you are? Steve Gordon: Yeah, so I actually … when I went to college I got a technical degree in a really tiny little discipline of engineering called geomatics and probably nobody whose listening to this has ever heard of it. But I went to work after college. I was the 10th employee at a small consulting firm that focused in that area and was really just fortunate to kind of fall into a great opportunity. The founder of that firm was kind of thinking long-term and thinking about what his exit would be and apparently I was his exit plan and I didn't know it for a few years. Steve Gordon: But after being there for about four years, right before our first daughter was born actually, about two weeks before she was born, he came to me and said, “You know when you come back after you're off, you're going to take over as CEO.” And I said, “Okay.” Well, you know, it was a little bit of a hard swallow there because I didn't think at age 28 I was ready for that and I certainly wasn't and learned a lot in the process. Steve Gordon: But [inaudible 00:03:32], it's a great firm and had a really successful run at it. What I discovered in that process is that I really enjoyed the sales and marketing part of that. I didn't enjoy so much some of the other parts of it, but the sales and marketing were absolutely fascinating. So that's kind of how I ended up here. So after running that firm for about 12 years, I decided its time to go off and focus on the thing that I really loved doing and how we work with other professional service firms and help them kind of apply the lessons that we learned because starting professional services is really unique. Most of the time the business owner is also the entire production line. They are the sales force and they're the product. There are very few other businesses where one person holds all of the roles. It makes for a challenging sale. So we really focus on those folks. That's who we're a hero too. 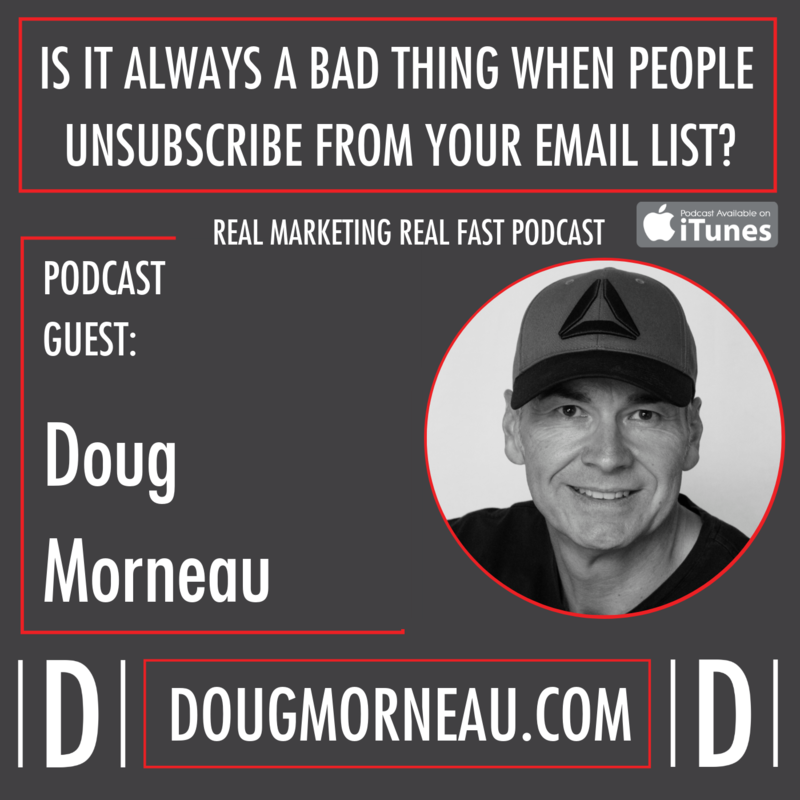 Doug: Well, and before we started recording, we talked briefly about the work that you do in referral marketing and obviously that was the title of your first book on Unstoppable Referrals. So why don't we dive in and why don't you walk us through kind of your process. Because you often hear people give lip service to, “Well, my clients come from word of mouth.” And while that may be true that some of their clients come through word of mouth, I'm assuming you have a process to make sure that this continually happens and it's not just a by chance thing. Steve Gordon: Yeah, and there have been all kinds of studies done on word of mouth and referral marketing. Probably one of the more famous ones was published in the New York Times and they looked at that word of mouth in the U.S. and found that in the neighborhood of about 65%, I think it was 63.4 was the exact number, but roughly 65% of all new business that's done in the U.S., and this is going back a number of years, but I doubt it's changed much, is driven by word of mouth. And, I mean, when I read that, it just sort of hit me like a 2×4 in the forehead because if you think about all the money … we're about to have the Super Bowl, right? Every year we have this grand event, which is really not about football. It's about advertising. Steve Gordon: Okay? And all of the money is spent to get in front of that audience. At best … and think about all of the money spent on ads and other things, at best it's going to drive 35% of all of the commerce that's done. Doug: Wow. Well, and I'm in that boat. When I was reading your background before we started, I'm thinking, “Okay, you're an engineer. You're going to have a system for this?” Most of my high-end clients come from word of mouth, but I don't have a trackable, repeatable, teachable system on how to make that happen. Steve Gordon: Yeah and the big mistake that people make with word of mouth and with referrals is that most of the time when we think of a referral, we're thinking of that already sold prospect who is hand delivered to us. They've already got the checkbook out and they're warming up the pen. You know? And they're at that stage of the buying process. Those are great, but those are going to come pretty much no matter what you do. The real leverage in word of mouth is working back up the buying process to people who are at an earlier stage where maybe they don't that they have an issue, but they're not really clear on it and if you think in terms of a funnel, instead of trying to get your referrals at the bottom of the funnel, get them in the top or the middle of the funnel. And there's just a huge untapped opportunity and the way that you go about that is really very similar to the way that we do a lot of direct and internet marketing today. It's a two-step generation process. So you go out to the relationships that you have and you create something that would be really, really valuable to the people that they know in their network. Whether that is an audience … so we do this a lot of times with people that come on my podcast and we'll talk about how you can use podcasts for this. So I'll interview someone. I'll develop a relationship with them and that'll usually lead to us doing other forms of collaboration if there's a fit down the road. And sometimes that means that I'll do a webinar where I'll share some really great information with the people in their audience and the act of them hosting that webinar is a massive referral event for me. Doug: Sure. That makes sense. Then we've got a process after that, that we'll filter them down and get them here. But if my new best friend who I just interviewed can simply come and say, “Hey, here's Steve and he's got this really great presentation on, you know in our case, how to use word of mouth and podcasts and all of that to build relationships and grow your business and I think you're going to benefit from it.” Now it takes all the risk out of it for the person making those referrals. It allows them to refer a whole lot more people in one false swoop and do it really, really easily. It allows you to do it in a really systematic way. And so that's kind of our approach and how it differs from what people typically do. Does that kind of give you a sense? Doug: Yeah it does. And, you know, you obviously see that through joint ventures. So, you know, anybody who has an email has probably seen joint venture offers come through as well. But I like what you said. And so just to back up for our listeners. You said provide massive value for the audience. Lots of times what I see is less than that. It's, “Hey, come to a webinar.” Which is really about, “Hey, buy my stuff.” And they forgot the value for the person. So yeah, I'm comfortable, more comfortable having you talk to my audience providing value that I am coming with the sales pitch for sure. Steve Gordon: Yeah, on the internet marketing side … and it's the world that you and I kind of live in … I think a lot of listeners will relate to this. We've really taken this whole JV thing to an extreme. And it's not that they aren't really good places to use that and I'm not knocking it, but there are also opportunities to show up and not sell something and just show up and create the lead and create the relationship. Particularly when you're selling something that is expensive or requires a great deal of trust, which is really the world that we live in with the clients we work with. When people do business with them, it's usually a minimum of $5,000 or $10,0000 investment. With some of our clients, it's a six-figure investment or more. You're not going to sell that on a webinar, on a JV webinar where you're paying a commission, right? Steve Gordon: It's a different kind of animal. And so for some businesses and some products, that can work really well. That JV model. But there's also a place to go in and we've done this with people who do it on the JV model, but we've been able to come in and say, “Look. You've been hammering your list with all of these JV pitchers. Why don't we come in and do something that's 100% value?” Because [inaudible 00:11:24] you need that. You need to put some deposits into the trust bank and into the relationship bank with your audience and we've got some great stuff and we don't have a need to sell something today to stay in business. We're okay starting relationships and growing those relationships and growing trust over time. Steve Gordon: Yeah. And I think Frank does a lot of things the right way. You know, it's funny. I also think he sometimes gets a bad rap. You know? Because he's one of the older guys in the internet marketing world and probably along the way made some mistakes as we all have, but if you look at what … especially what he's doing lately, he's investing a lot of time in the relationship before the sale. And I think that the time factor in marketing, which allows for the development of trust in a relationship is one that we've largely forgotten. I think we're going to see a swing back to that. One of the things we keep telling our clients, especially as we're working out the next year or two, there may be a recession in the U.S., is that you really need to focus on the longer term strategies that develop deep relationships because if you can create those relationships, those will typically endure through those difficult times and carry you through. But if all you're doing is turning and burning, trying to make the quick sale, you're probably going to have a lot of trouble. Doug: Yeah, absolutely. I mean, the last thing I want to do is make a mistake with my marketing budget by working with somebody who's not going to deliver on their promise when it might be my job on the line at my company or if I'm an entrepreneur, obviously, it's coming out of my pocket. Doug: So can you walk us through an example of somebody that you worked with? So feel free to share their name if you'd like to give them a shout out or not, on what you did to help them to develop this system for referral marketing. And how it worked for them. Steve Gordon: Yeah, so we got … let me give you two different, slightly different examples. One is business to consumer and one is business to business. This typically works the best business to business because the way that we start the process is usually with outreach to either an influencer or a prospect directly who is somebody who's in the market that our business wants to … or our client wants to sell to. Now, if you're thinking about trying to get in touch with an influencer that [inaudible 00:14:29] everyone's not answered your email or take your call, what do you think your chances are of doing that? I mean, I get asked all the time to go on podcasts and I answer those emails in a heartbeat because it gives me an opportunity to promote my business. Because mostly I get pitchers all the time for people that want to get on the phone with me and I never answer those. [crosstalk 00:14:52] the person who offered the interview leads with value right? We get to create a [inaudible 00:14:56] relationship and then take it to the next step and it works with influencers and it works with prospects. And so that's kind of with the foundational approach. So we got clients that are going around and doing this in a number of different industries right now. One guy, in particular, is doing it in … out in Silicon Valley. He insures merger and acquisition transactions, which is a really niche form of insurance. He started out two years ago completely brand new to the market. Had no contacts. He was brand new to insurance, but in sort of your typical business insurance, but no contacts at all. So now he's created a podcast around the MNA industry and he's gone out and interviewed all of the attorneys and some investment bankers and some of the private equity folks that do these deals and who would be users of his insurance, but he doesn't talk about the insurance on the podcast unless one of the guests brings it up. It's just a way for him to connect with the people that can bring him new business. So he's gone from absolutely zero to his first transaction was insuring a deal between Audi, the car company, where they bought another car company or not a car company, but a rental car company out in Silicon Valley, and these things come along now to him. New deals are popping up on a consistent basis because he's now in contact in a very unique way with all of the key people in the market. At the same time, he's building authority for himself and for his business. He's building a reputation where he was completely unknown before. And so that's really the power of being able to have this kind of a platform and start these relationships. They're now getting referred. So a lot of the way that those deals come about is … there might be 50 attorneys nationwide inside one firm that handle these types of deals. So he's now getting connected because he interviewed one attorney in the firm, he's now getting connected with all of them and really being able to fuel word of mouth for his business that way. So that's one way it can work in a kind of a B2B environment. Then you can use it in a lot of different business. We work with advertising agencies, marketing agencies, folks in all kinds of service businesses and it can work really well there. And it can work very well in the product business if you focus on going after people with audiences. Where their audience needs your product. So same strategy could work there. That's on the B2B side. On the consumer side, we've got a client whose … it's a local little business. He goes around … he's in retirement planning. He goes around and interviews the kind of wwell-known people who are in retirement or nearing retirement and that are known in the community and they share the interview on Facebook, right? So he gets instant new connections, audience, and all of that by naturally driving his business and has done tremendous things for him over the last year. He's even had the opportunity to interview a former Supreme Court justice here in Florida. Doug: That's really neat. I mean, so, you know, listeners we're talking opposed to spending a whole bunch of time and money developing and building and ad and spending money pushing it out, you're leveraging … like you said, you're leveraging relationships of other people who are influencers by offering value up front opposed to trying to push your ad to the … like your example earlier, which was the Super Bowl. Steve Gordon: Right. Yeah, and it's not that … and for some businesses, ads are going to be a great thing. But this can compliment and augment that, but in a lot of businesses, we find that these relationships really drive the bulk of the business anyway and this now gives you a systematic way to go after them. Whereas before it was probably random and you just sort of hoped that things … that the referrals showed up when you needed them. Doug: Yeah, I mean, and I've seen both sides of it. Obviously, we spend money on advertising for our clients as well. However, what you're talking about here is a long game. Like, if I run a Google ad today I can have a sale today, but this is a longer term strategy where I'm getting a deeper relationship and like you mentioned earlier, how likely would Audi be to contact your client based on them running an ad to insure a transaction like that transaction, because that's probably a very significant sized, I'm guess eight figure type transaction. Steve Gordon: Yeah, it was $100 million acquisition. So, yeah, that's not coming from an ad. Doug: Yeah, and it was funny you mentioned the Super Bowl because I remember reading a book from one of the VPs of marketing from McDonald's and he talked about the lift that they saw in their stores after the Super Bowl ads and actually they couldn't measure it. Doug: So you look at the cost and then you look at the ROI. You come back and say, “Hey, this obviously isn't working.” But they still do it. Steve Gordon: Well, they have money to play with. There's a lesson in smart businesses don't have that kind of money to throw around. And anything that we do, we need it to work. And so that's one of the reasons we love this strategy. Is it really focuses on the relationship that can drive deals. Doug: So I mean, what's also interesting is that we're both podcasters. So when we first started talking about this, this obviously caught my attention because people talk about, “Hey, I want to be a podcaster.” So you're suggesting … so, just … I don't want to put words in your mouth. I want to make sure I'm clear. You're using this as a marketing tactic to help your clients leverage relationships and generate leads opposed to becoming a top ranked, famous podcaster. Is that the … would that sum it up? Steve Gordon: Yeah, that's the biggest misconception I think people have about podcasting as a medium. And you see all this energy and effort put into trying to get, you know, like on the New and Noteworthy on iTunes and it's not that there's anything wrong with any of that, but the value … in fact, we just did our 100th episode. We were talking about this before we started recording, because I know you've just hit yours as well. So in the 100th episode I kind of recorded my take aways from two years and 100 episodes of podcasting. And what we've seen happen is that a podcast is really not a great lead generation tool by itself. Just from the listenership, right? Because there are a million podcasts out there. It's hard to get discovered. There are very, very few of the top 10 to get all of the big listenership and even then, I mean, even if you talk to the most successful, biggest podcasts they'll tell you they don't generate a ton of leads off of the podcasts. They'll get some, but not in comparison. There are other means that would be better. So things like what you might do for someone. Steve Gordon: And so he connected me and a month later I'm doing a webinar with them where we generated, I don't know, 1,500 or 2,000 leads in a day. So that's where the real lead generation value … that's how it happens. It doesn't happen the way most people think of it. So it's good there, right? Steve Gordon: But the other thing that's really useful with a podcast is it allows people to get to know you and your brand and your company because they hear your voice and what we've seen is that it is a tremendous conversion tool. So what we'll see now when we get on sales calls with a potential client is often times they will tell us, “Well, you know, my buddy was listening to your podcast, he said I should listen to it. So I started listening. Then I just … I kind of binge listened. Then I realized I needed to have a call with you.” And then they're a client. It just gives you this way to develop a deep relationship with someone in a very short time. You think about it. If somebody goes and binge listens to let's say 10 or 20 episodes. They've spent five or 10 hours with me now. Where else can I do that? Doug: Yeah, and that was new to me. I was just interviewing a friend of mine … someone I had met at the New Media Summit, Adam Schaeubel and he mentioned that, that he has clients for his podcasts. He's in the health and wellness space and I had binge listened to all of his episodes. I had never considered that before as a new podcaster that people would go back and binge listen just like they do on Netflix where they binge watch something. I thought that's really cool. I don't have any other advertising. Nobody else is going to go onto my social media account and go back through all my past tweets, all my past Instagram posts, or try to find my Facebook ads. So, you know, it was just brand new. Wow, that's really cool. Because like you said, you're adding value to people. You're not hard selling and they're going to spend hours with you, which who wouldn't want that opportunity. Steve Gordon: Yeah, it's a real fascinating mode of behavior that we've noticed. And when those people come, they're really well prepared. They're great prospects. Doug: So kind of looking at where you're at today and where you're moving, what are some of the things that get you really excited about the space that you're in? And I think that's actually a huge opportunity for a lot of folks right now is that there's so much information around marketing. What there is a lack of is how to actually implement it and make it work. And so about a year ago we launched the Done For You side of our business where we'll work with clients and produce podcasts and help them through this entire process. Where we kind of take care of all of the back end and all they have to do is show up and talk and that's just sort of taken off and so we're super excited about that. Frankly, I'm really excited about this medium. And I didn't expect to be here. I'm two years into my own podcast and now we've produced podcasts for a whole bunch of clients. I'm just really excited about the opportunity that this medium provides. I don't think it's sort of a transitory thing because it's based on some fundamental characteristics of humans. We like connecting with each other. Like, you know, I was looking forward to this call today because I get to connect with Doug. I've never met Doug before, but now, look we're connected and we're getting to know each other. And so that's a fundamental human thing. And the other side, on the consumption side, people like to be voyeuristic. They like to eavesdrop. I always think about the person whose listening to the podcast. It's like we're at a cocktail party and you and I are having a conversation and they're the third person that's just sort of standing there holding their drink listening. Steve Gordon: You know? And it's that kind of medium and so it plays into a lot of natural human nature. I always look … when I'm thinking about marketing, I always want to look for things that aren't going to change. Because there's so many mediums now that change so fast that what worked six months ago, no longer works now and that just makes my business really complicated. So I have to keep it simple and focus on what things aren't changing. Doug: Yeah. I mean, that's so true. I mean, I'm looking at certain industries right now where the top four social platforms are not allowing advertising. Doug: So they're saying, “Hey, you can't advertise that product on our platform.” And so you're right. Not only are the rules of the platforms changing, but the rules of what you can and can't advertising are changing and that's simply not the case in this format. Steve Gordon: Yeah. And it's a media platform you have control over. The reason we weed out emails so much in addition to the podcasts. It's a platform we have control over. Doug: Absolutely. So why don't you just expand a little-bit about what does this look like for a client that says, “Hey, this sounds good.” So I've … because what I'm thinking of is that most of the people that I talk to and that I get feedback from are podcasting because they want to be podcasters. They're not using it for lead generation like you're suggesting. So if somebody is listening going, “Hey, I never really wanted to be a podcaster, but I like this idea of having a podcast to help me increase my business.” How does that process start? Steve Gordon: Well, we start off the conversation to figure out what their goals are and make sure we're a fit. Because the folks we work with are in a fairly narrow definition. We really focus on service businesses that are selling a high ticket service that requires a lot of trust. And then once we decide that there's a … both decide that there's a fit, then we'll get to work developing the brand name for their podcast. We'll develop the questions that they're going to ask. We actually put a whole kit together and we do this with our own podcast as well. But anytime they … one of our clients invites a guest, we ship a … as if it's coming from our client, a box to that person. And it's got a whole series of frequently asked questions and how to prepare for the interview. All the things that, that person who is going to be a guest probably for the first and maybe the only time ever on a podcast. It takes care of all of the anxiety. So we ship that to them and it includes a little gift so that they'll remember. Again, it's not about the interview. It's about creating a relationship and creating a memorable experience for that guest because we're thinking three years down the line. Steve Gordon: So we put all of this stuff together and we get all our kind of technology working in the background so that once the client is ready to go and we've helped them build a list of the people to invite, they will invite those people. They get on a conference line. We host all that technology and all they have to do is have a conversation. And we usually give them four or five really simple conversation prompts to keep it going in case things stall, but it's awesome. So it's just a lot of fun. Again, I think it taps into something fundamental in human beings that we want to connect with people. So my set aside one day a week, Thursdays, to do all my interviews and batch them. And I so look forward to Thursdays. Cool, I get to talk to three or four new people today and learn about their super power and their expertise. So just even as a host that fills me up. Not to mention any of the business benefits that might come along with it. Steve Gordon: Yeah. Without a doubt. I mean, like you, I batch them. I do them on Fridays. I love Fridays. Not for the fact that it's the beginning of the weekend, but man, it is the most fun day of the week because I just get to talk to people and create new relationships. It's so much fun and I learn a lot as well. So it can be a tremendous educational experience. But the opportunities that it's created for our business have been huge. Just through the connections that we've made. And I've gotten to talk to people I never would have been able to talk with otherwise. New York Times best-selling authors. Business celebrities. People like that. And so it's just a lot of fun. Doug: So what do you think the biggest myth is about this tactic? Steve Gordon: I go back to the fallacy that it's about the consumption. That it's about how many downloads and listeners you have. And that only really matters if you're selling ads, which I think is probably the worst way you could possibly monetize a podcast. It's not … you know, if you've got that kind of listenership, great, do it. But I don't think that's where the big opportunity is. I think a lot of people look at it and believe that it's a lot harder than it really is. On the technology side, there are a lot of moving parts and for some businesses that don't have a team in place, yeah that can be kind of a challenge to overcome, but doing actual interviews is not difficult at all. You don't need to be Dan Rather or Barbara Walters. You just need to be able to have a conversation with somebody else on the other end. Doug: Yeah, that's cool. And that's a great comment. I mean, good feedback and you're right. I think the challenge there is, like you said, you need to have a team. There's a lot of moving pieces and what I see because I mean, a couple mastermind groups that focus on podcasting is that people try to do all of the work themselves and so to your point, the role of the podcaster is to have the conversations with the people and not to be editing the episodes and publishing the episodes and doing the graphics for the episodes and everything else that needs to happen to load it. Steve Gordon: Yeah, absolutely. You just want to show up and talk. Doug: That's the goal. It took me a while to get all those pieces, but we finally got there, which was really good. So what's some of the bad advice you hear in the industry around referral marketing? So, you know, I'm sure you travel a lot because I travel a lot. We're out in places. We hear conversations and then sometimes you'll hear somebody giving advice and you're thinking, “Man, I wish that person wasn't giving that advice because its bad advice.” So what's the bad advice? Steve Gordon: There's a lot of it out there. Typically, advice on referrals is just to ask every client in almost every interaction and then if they give you a referral, follow-up a lot. And while that works for those who do it, what we found is that for most people its bad advice because they're just not going to do it. It makes them feel uncomfortable. And one of the literal secrets, I guess, we discovered was that if we make that first step of the referral like a really easy, no-risk step … in other words, “Hey, let me share some really great information with the people in your network with your audience.” That, that becomes not a risk for them, it now becomes a benefit for the person who's referring. We call it the “virtuous referral cycle” because we'll have an influencer who will share some of our information. So maybe it's a short book that I wrote or sometimes it's as simple as an article that they'll send out to people or maybe it's a webinar. And they'll get people writing them back thanking them for that. “Oh, this was perfect timing. I really needed that.” Well, that reinforces the referral behavior. Whereas, if you follow the typical advice, where you're sort of button-holing a client into referring you, you're kind of trapping them. A lot of times they'll just disappear. They'll go into the witness protection program. They'll stop returning your calls. It's not that they don't want to help, it's just that most of our clients aren't professional sales people. I mean, in some businesses yes, they are, but most of the time they aren't. Even when they are, they have their own sales to make. They don't have time to go make yours and really what you're asking them to do is to go and do the most difficult thing in every business, which is prospect and nurture and bringing someone to a sales meeting. Doug: Yeah, I hadn't thought of it that way, but that's certainly the case. I mean, I've talked about on my podcast several times before that sales is the least favorite thing for most people in business. They'll find all sorts of things that look like sales activities just so they don't have to do the hard thing, which is having the conversation or asking for the business. Steve Gordon: Yeah, and when you ask someone to give you a referral, they have to go have a sales conversation at some level with somebody that they care about in their world and on top of that they're taking all the risks now because they're ultimately going to put them in a one-on-one meeting with you and the way most referrals work … I mean, we all know what that is. That's a sales meeting. You know? And the only way we're going to be successful in that sales meeting is for a transaction to happen. So they know that they're sending somebody they care into a high pressure situation and they're not quite sure if that person's ready for it or interested or cares and that's why if you kind of go up the funnel a little-bit like we talked about earlier, now it becomes so much easier because they're not taking on all that risk. Steve Gordon: And, you know, it's hard to come up with things that would be valuable. Right? For an audience. You know this. You've got a podcast. The hardest thing is to come up with the next guest. Right? Doug: Right. And so it's a win-win for everybody. I mean, it's a win for you because you get in front of a new audience. It's a win for the person who has the relationships because they get to provide something of value that they didn't have to buy or pay for and it's a win for their audience because their audience gets something of value as well. Steve Gordon: Yeah. Everybody wins. You get everybody's interests aligned. I mean and that's … to me, that's one of the least used strategies in business. Is really looking at and understanding … okay, here's my interest. I want to grow my business. That means I need to get customers. I need to make sales. Okay. Now, if I look out around me, who are the people that already have the relationships and trust with the people that I want to do business with? How can I figure out what their interests are and align myself with their interests so it's in their interest to help me and then looking beyond that to the potential client. What are their interests and how can I align what I'm doing with these partners so that it aligns with the interests of the ultimate prospect? And if you can do all that, everything becomes really, really easy. Doug: Yeah, that totally makes sense. Yep. Steve Gordon: But there's no piece of software you can buy that's going to do … there's no marketing automation … well, you have to do that, you have to sit down and think about it and talk to people and build relationships and understand what they're looking for. Doug: Yeah, I'm kind of laughing in the background because you're right. I mean, there is no one button you can push. It doesn't matter what you use for your CRM. It's not going to happen magically just because you've got everybody in a database. Doug: And I've gone the other direction where I've looked for people that offer what you're … like you're saying, you've got this free offer. [inaudible 00:38:18] quick discounting. Find partners that can bring value to your potential clients and bundle that information. You don't have to discount your price. You just need to add the right amount of value and if you can get that value from a third party where you're not writing a check for it, that's even better. Steve Gordon: Yeah, absolutely. Yeah. Doug: So a couple questions and I'll let you get back to your day. First question would be, whose one guest I absolutely have to have on my podcast? Speaking of the toughest thing that's finding the next guest, so that's a great segue into that question. Steve Gordon: It is. I'll tell you. I had a really interesting interview recently with a super successful entrepreneur. His name's Robert Hartline and I'll be happy to connect you and super guy both. Had astronomical growth and he's got some fantastic insights about how to take a company through really massive growth and still make it be a sane company to run. Doug: That's a good thing. And Steve, where's the best place for people to reach out and connect with you if they want to find out more and learn what you're doing, the types of products or services or companies you work with and about your offering? Steve Gordon: Yeah, absolutely Doug. Thanks for asking. Yeah, we've put a page up on our site just for your listeners. And so they can go to unstoppableceo.net/rmrf. So unstoppableceo.net/rmrf for Real Marketing Real Fast and we've got some things for them there. A complete guide that kind of shows them how we create these systems to … we call it to sell it without selling. To be able to build these relationships and let those drive the sale. And if they want to get in touch with me and talk a little-bit, there's a link on there where they can book a time and we can have a conversation. Doug: That's perfect. Hey, I really appreciate you and just want to say thanks for taking the time today to share what you guys are doing and how you're helping your clients with our audience. Steve Gordon: Hey, thanks Doug. This has been a lot of fun and I hope to connect with you real soon. Doug: Well, that's awesome. I'm looking forward to it. I want to take a deeper dive on what you're doing and love the … love your approach and where you're going. So listeners there's another episode of Real Marketing Real Fast and if you didn't pick up on it, Steve said very early on today that 65% of new business is coming from word of mouth marketing. So I don't know if those numbers don't wake you and shake you, you should take a deeper look. Have a look at what he's doing. We'll make sure the notes are transcribed. So I'll have a link to Steve's company and the landing page that they've set up especially for you. So I'd suggest check it out. He's also a best seller. So if you're looking to get some more information, a background, you can head over to Amazon and take a look at two of Steve's books there as well. So thanks for listening and I look forward to serving you on our next episode. If you are new to the marketing industry or have been in it for 200+ years this podcast will expand your marketing knowledge and open up to many new ideas. Things are constantly changing especially with new technologies and hoy much more difficult it has become to hold a prospects attention. Doug has really done a lot of work locating industry experts and picking their brain on what the future of what marketing means. All Business owners need to keep up with the latest marketing tech. This podcast will help them stay current! I’ really enjoying this marketing podcast! Very useful content from phenomenal guest. Definitely recommended! Just listened to the episode about being an author. As both an author and a publisher I found your information full of right on target ideas with the marketing power behind it to back it up. High Five for a a job well done. Some shows are fluff - this one has content! This is a great new podcast. Lots of info and really interesting. Both host and guests are quite engaging. Can’t wait for more. Kudos to Doug Morneau for amassing a huge treasure trove of marketing advice in a hurry. In just a few months, since launching his Real Marketing Real Fast podcast in fall 2017, he’s interviewed an impressive slate of experts covering all areas of marketing. So valuable! Thank you, Doug! Love the strategies and actionable advice in this podcast. Doung brings experience and great question as the host. Doug morneau and his guests provide juicy, entertaining, and put-it-to-work! No fluff. No rambling. Just valuable insights. I highly recommend that you download Real Marketing Real Fast to your favorite podcast app! Doug and the Real Marketing Real Fast Podcast are off to a great start. I’m already getting some good nuggets! I just listened to the episode on being a great podcast guest. This is a must listen for anyone that does media interviews especially podcast interviews. Doug was extremely thorough and specific in telling you exactly what to do. Practical tips you can implement immediately. Thanks so much Doug! Real Marketing Real fast is about bringing the latest technologies and tactics that will help you take your business to the next level in today's hectics and stormy market environment. Full of practical information and helpful tips for online marketing. And it’s short and sweet! 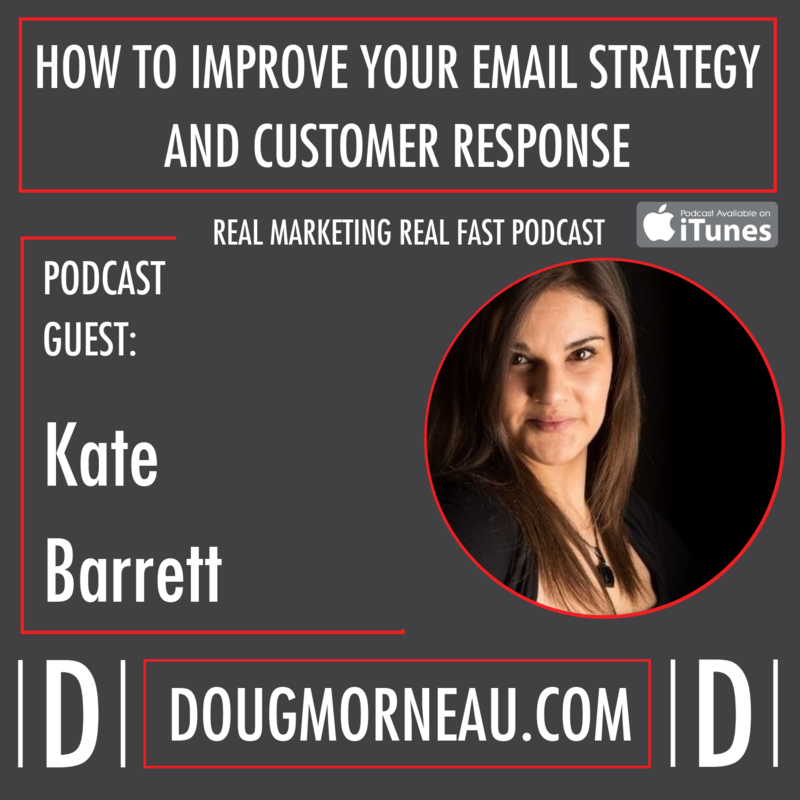 I just listened to Doug’s latest episode where he discusses email marketing automation strategies with veteran on-line marketer T. Taylor. This show covers all aspects of the rapidly changing world of online marketing: tools, principles, strategies and tactics. Well done and hugely needed. Wish you continuing success, Doug! If You Are Marketing This is a MUST! Doug brings amazing guests and important topics to his podcast. There is gold in each and every episode with tips and insights that are immediately usable. From navigating the changing waters of Facebook, not getting stuck with one provider, and how to use social media or email or something new or cutting edge, in this fast paced technological jungle, Doug cuts us a path through to help identify how to best connect with customers. Email marketing is something I need to invest more time in. Thanks for the great info. This podcast is jam-packed with value packed content. As a digital distribution company it is so hard to keep up with all of the trends and this is our “go-to” to stay current. Simple. Clear Strategy. No fluff, theory or hype. Thanks Doug. Doug is a brilliant marketer and he has a talent for getting secrets out of successful guests. Definitely listen to this podcast. Congratulations on your podcast! Very well organized and great content! Listening to your show gives a shot in the arm to the up-and-corner and even help to the seasoned business owner! Keep up the good work! I am a concierge for a podcast marketing company and our clients/guests experts love this show! The host is a professional, highly organized, and his shows are top notch. We love connecting our clients with this podcast/podcast host. It is truly an excellent show and an excellent experience for all involved! Got new marketing ideas after to the episodes! Thank you for the great podcast, Doug! Every episode has the tips that I can apply to my business right now or give me new marketing ideas. Doug’s podcast has a lot of great content and guests that bring real value to people in the marketing profession. I recently finished his book Three Big Lies and it has helped SO much already. This is a great show! I work in marketing, own a marketing agency and have a marketing podcast of my own and can say unconditionally that Real Marketing Real Gas is REAL GOOD! Subscribe and listen. I love this show. The host is really entertaining. This show became my top show in my podcast list. Keep up the great work. After hearing the experts tout the benefits of growing your email list, I have been strugglin for months with growing my subscribers. 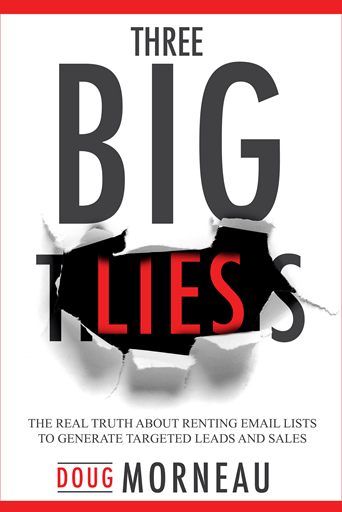 I found the “Email List Rental vs Buying an Email list” really helpful. I can’t wait to go back in the podcast archives to learn even more. Thanks Doug Morneau! Practical, Actionable Insight on Every Episode! Doug is a marketing genius and brings his unique perspective to each and every show! If you are growing and expanding a business, you can’t afford to not subscribe to Real Marketing Real Fast!